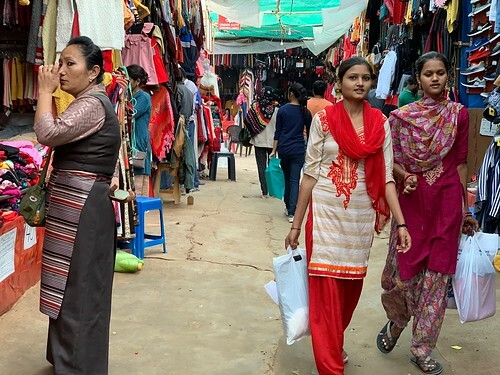 Pop singer Sonam Gonpo’s soothing voice, smeared with lighthearted longing, is softly streaming through the bazar. 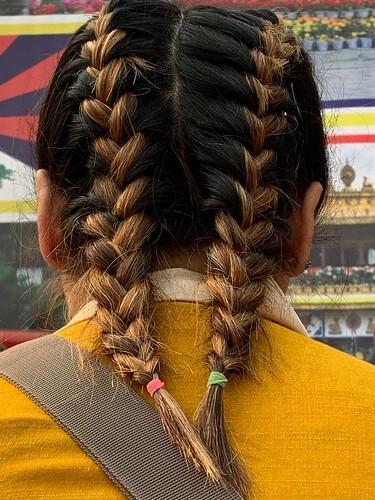 Elsewhere, the compulsive Instagrammer Jhumpa Dolma is gleefully flaunting her little braids tied in uncoordinated coloured rubber bands, and the sombre-looking Tsewang Dhonden is poring over the paperback, Lectures on Tibetan Religious Culture — it’s written in Tibetan. 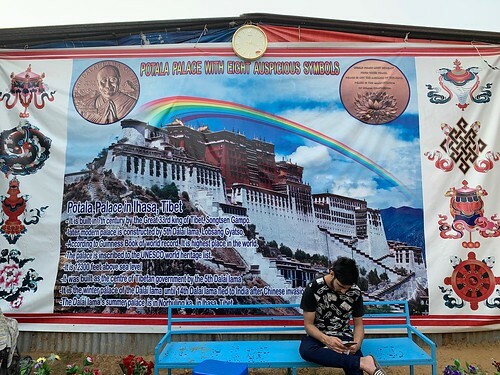 This isn’t Lhasa, though there’s a giant banner showing Dalai Lama’s Potala Palace. 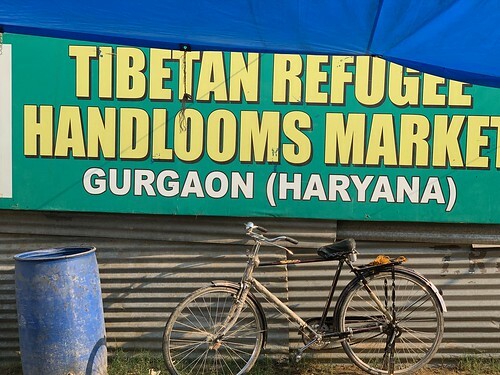 This isn’t even Majnu ka Tila, the North Delhi enclave of Tibetan refugees. This, in fact, is a most evocative sign of the arrival of winter in the National Capital Region. 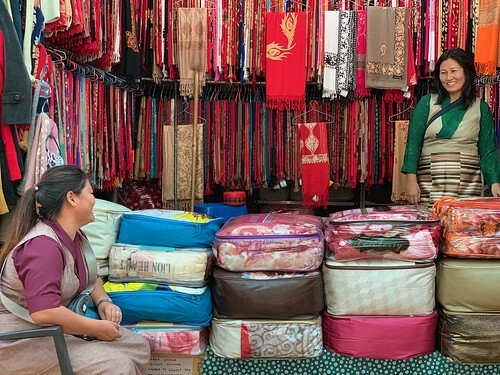 Every year this time, the sprawling Rajput Vatika in Gurgaon’s Sector 14 becomes a camping ground for the Tibetan Refugee Handloom Association Market. Hosted annually from November to mid-February, it was launched in the city in 2005. 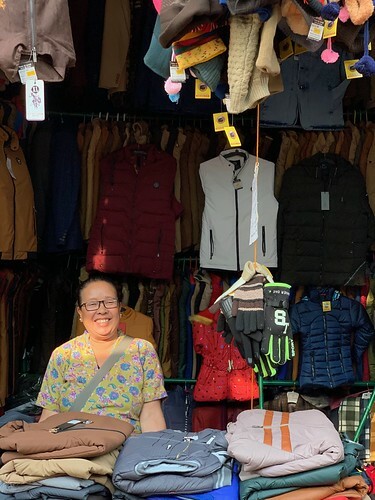 Scores of Tibetan shopkeepers from across India set up their stalls, selling all sorts of cold season stuff from sweaters to jackets. But that’s not the unique thing about the bazar. 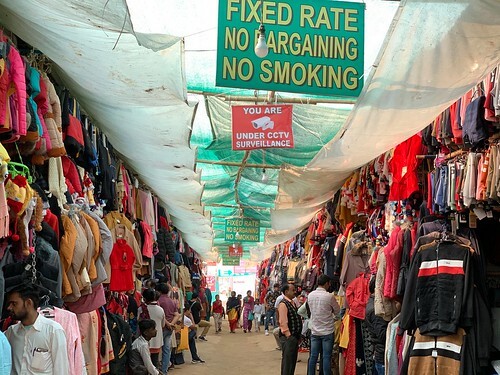 What makes it special is that the market unabashedly gives the vibes of a village fair. 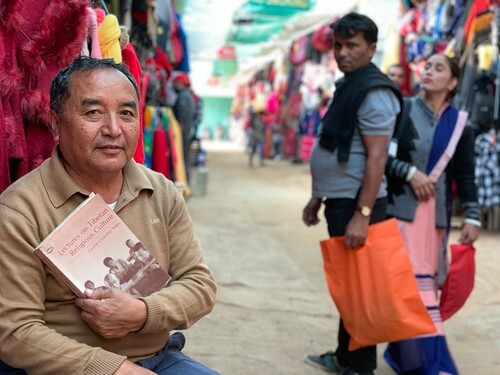 So, no point to be here if you want to get the feel of cosmopolitan Lhasa—head to the Majnu ka Tila cafes for that. 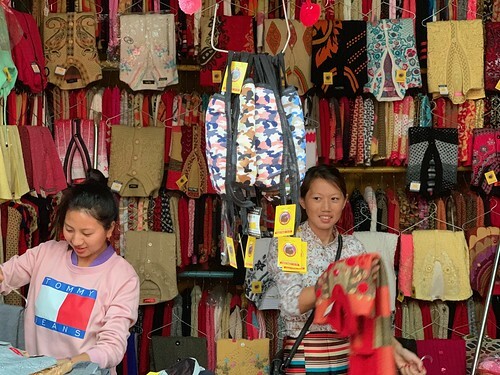 But if you are curious about the ordinary small-town rhythms of Tibetan life, then this weekend you might like to hang out here. 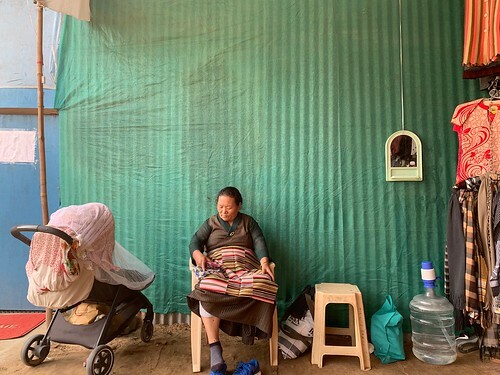 A wrinkled momola (granny), resplendent in her traditional apron-dress paang-den, is patiently sewing a pair of woolen socks, perhaps for the baby sleeping beside her in a crib. A teenage girl in a long flowery skirt is sitting bored on a blue bench. Two men are bemusedly watching a WhatsApp video. A woman is painting her nails green. 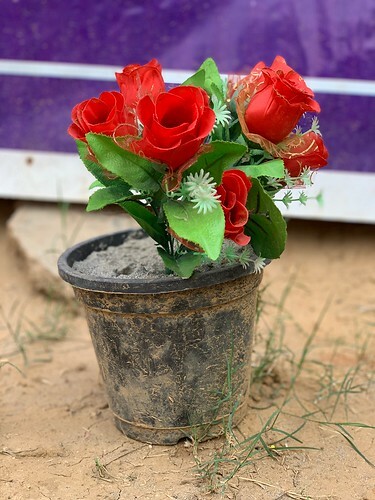 There’s no attempt to deck up the bazar except for a few pots filled with plastic flowers (which is very moving). Two makeshift dhabas are doling out exotically-named dishes such as ‘egg yippie’ and ‘multi paratha’. Of course, there are steamed momos, too. The cooks, however, are Indian. There’s much to marvel at even if you aren’t into shopping. 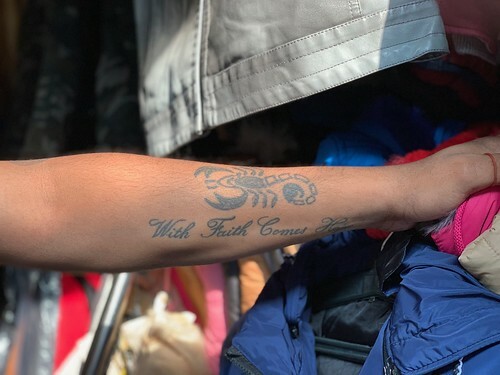 Like, for instance, just why almost every male shopkeeper has his arm tattooed with the image of scorpion. Whatever, do stop by shop number 93. 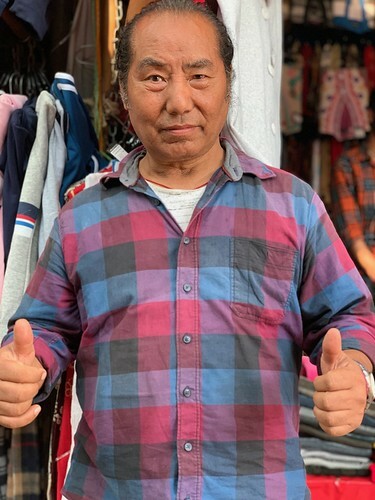 It’s run by Urgen lhundup, the music composer of the aforementioned Tibetan pop song. He’s a star (photo above) and he doesn’t mind posing for selfies with fans. The bazar opens daily from 9 am to 9 pm.